Image by Ken Marshall Some Rights Reserved. 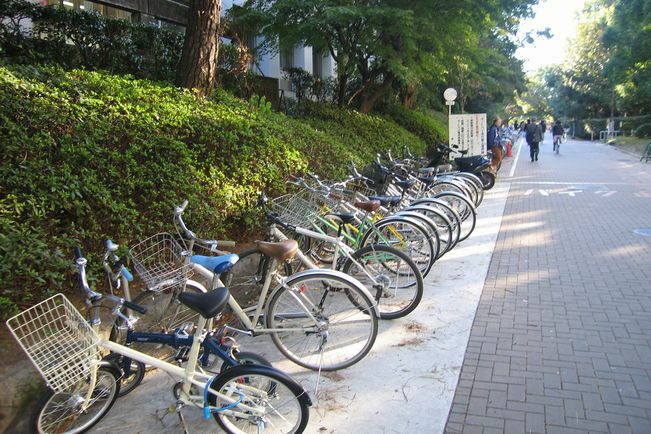 Kyoto City released on December 10, 2014, the draft version of a revised comprehensive program for bicycles in Kyoto. In the plan, the city sets out to develop a low-impact, sustainable community that is safe and hospitable for everyone. The revised plan refers to bike riding as the "art of bicycling." Traditionally, Japan has a custom of formulating behavior and methods surrounding specific pursuits, such as tea ceremony and calligraphy, so more people can enjoy them. Following this tradition, Kyoto also designed the art of bicycling with the intent of helping everyone to enjoy using and living alongside bicycles. Specifically, the city will promote such initiatives as bicycle lane development, educational activities for rules and etiquette, promotion of tourism using rental bicycles, and elderly-friendly bicycle use. The plan points to the "lack of knowledge about rules" and "insufficient understanding of the purpose of rules" as major causes of inappropriate behavior by bicycle users. The city will attempt to "visualize" various factors regarding bicycle use to improve present conditions. Visualization in this context has four meanings: correct bicycle operation; understanding and observation of rules and etiquette; access to necessary information; and the enjoyment of exploring tourist spots by bike.